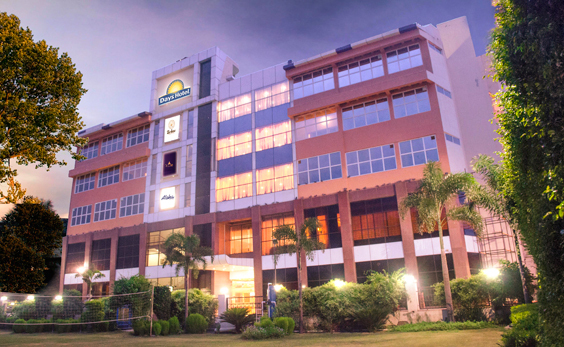 Days Hotel Neemrana is a business hotel of international standards under the flagship of the Wyndham Hotel Group – the largest hotel group in the world with 7,670 hotels and 667,000 rooms worldwide. Located midway on the National Highway-8, en-route Jaipur from Delhi and less than five kilometers from the Japanese Industrial Zone at Neemrana, this classic Days Hotel offers guests first rate accommodation and facilities in the bustling centre of the industrial city of Neemrana. Accommodation is offered in 48 tastefully designed rooms and suites. All 48 guest rooms including 2 luxury suite accommodations are equipped with every modern comfort and convenience to make your stay both relaxing and pleasurable. The Days Hotel Neemrana provides a range of amenities to ensure a pleasant hassle-free stay in Neemrana. Guests can enjoy in-house dining at Zodiac- an all day dining restaurant, offering great food with superb service in a friendly & fun atmosphere ! Days Hotel also has a Fitness centre, Sauna & Jacuzzi and a Recreation centre for rest and rejuvenation. Days Neemrana also provides excellent conference and business facilities that ensure the best value-for-money for your corporate needs. With 46 comfortable and 2 luxurious suites, we offer a warm atmosphere for you to get comfortable in.Look out of your windows to see the Aravalli range rise in front of you, while you enjoy tea/coffee or the Mini bar in your room, or simply swith on the 32 – inch LCD television to watch some Japanese primetime. © 2019 Days Hotel Neemrana. All Rights Reserved.